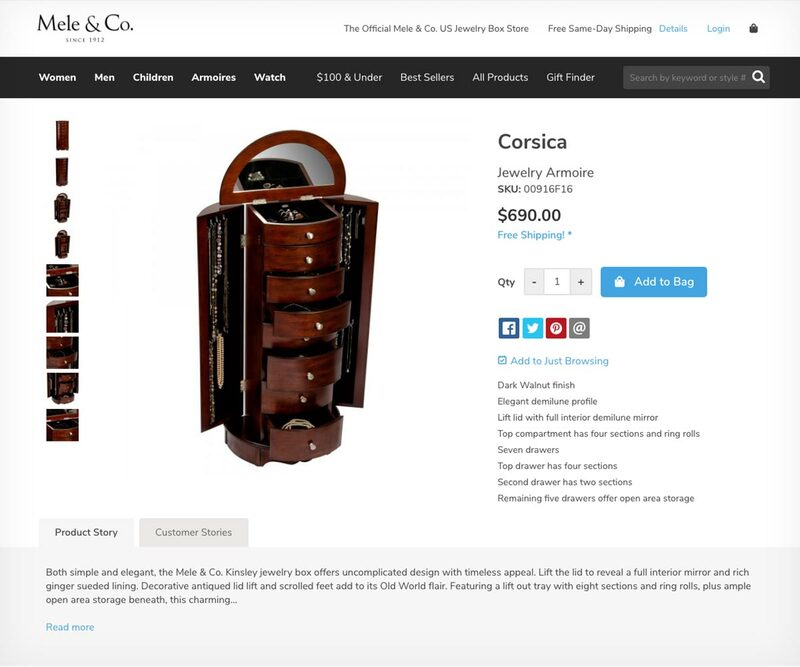 Mele & Co. has been America’s leading jewelry box company for over 100 years. 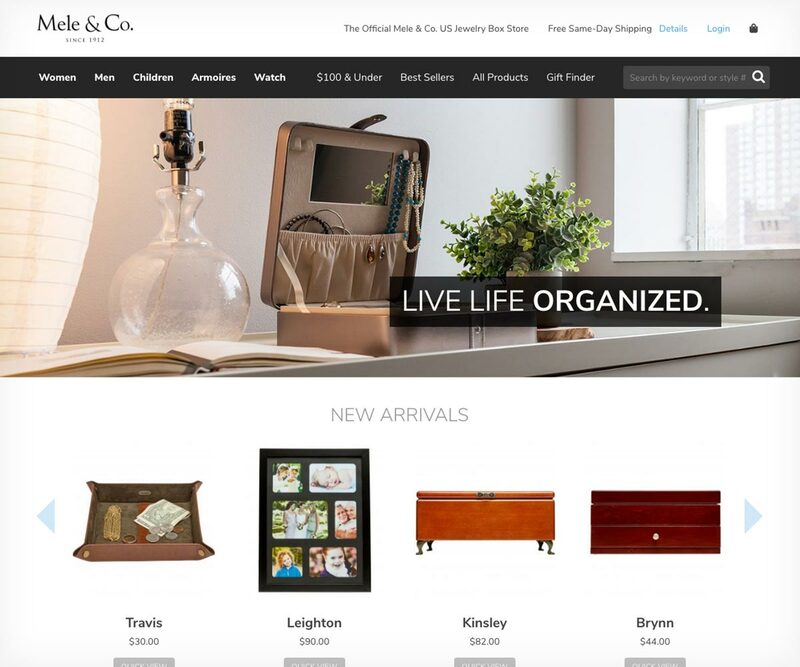 The first phase in a project that includes a matching wholesale site, the Mele & Co. retail site was built on the Drupal Commerce platform. 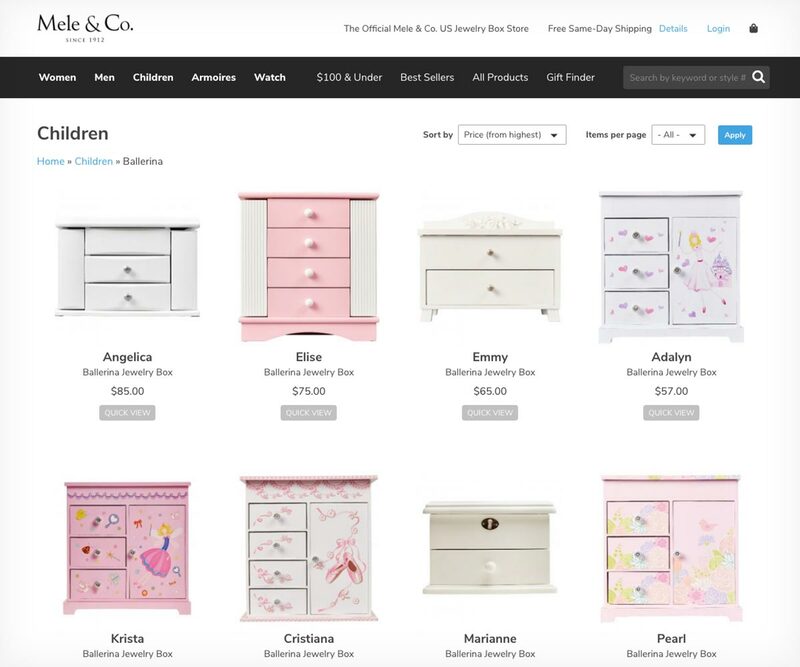 It features credit card and PayPal checkout, order tracking, coupon codes, a gift finder, login through Facebook, and more. Face First also designed and built the custom theme and created promotional graphics seen throughout the site.